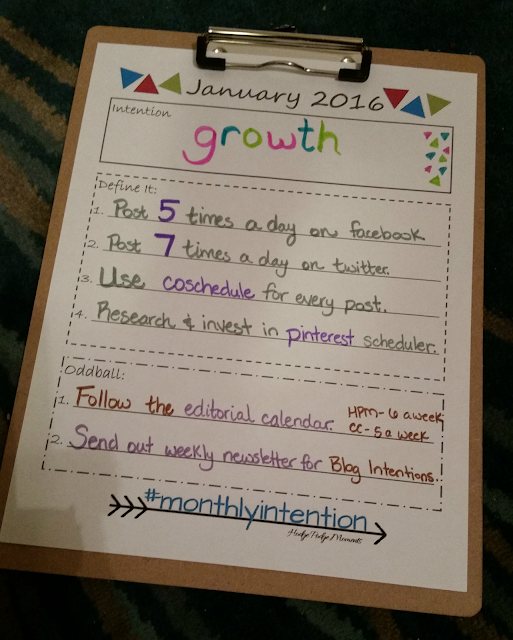 Remember earlier this week when I announced Monthly Intentions and shared a free printable? 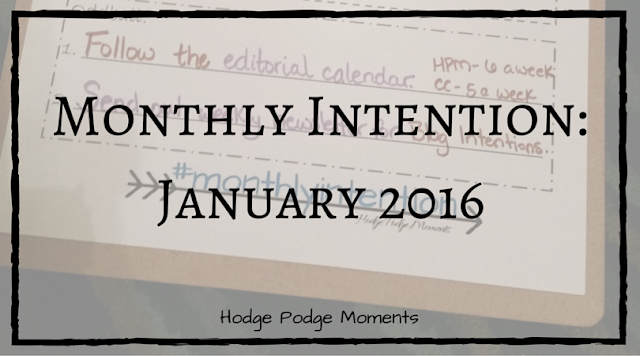 Well, January 1 is finally here and it’s time to link up your monthly goals for accountability! 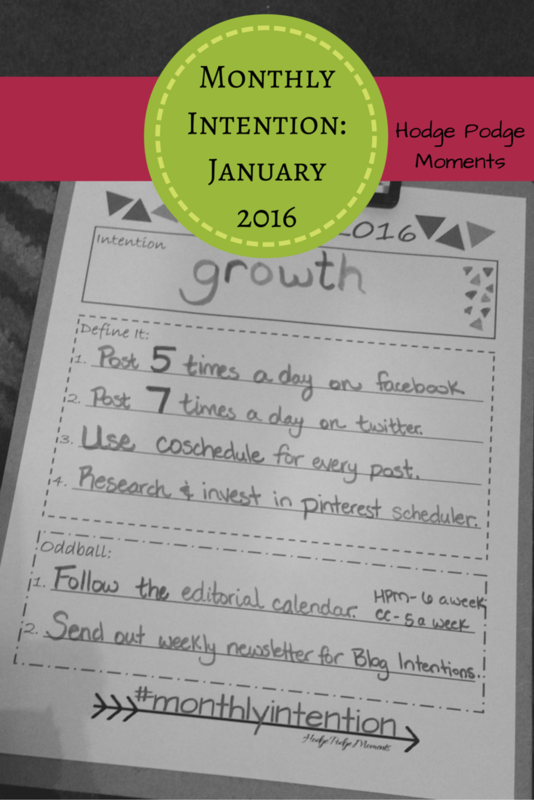 Feel free to link up any January goal post even if you’re doing your goals in a different format! If you want to know a little more about the format of Monthly Intentions and how to use the printable this month, I recommend checking out the original post. I’d rather not repeat myself in this post. Instead, this post is going to focus on my own goals for the month with a spot to link up your goals at the end of the month. If you use the printable, I’d love for you to share it on social media with the hashtag #monthlyintention. Anyways…on to my goals for January! You can see my goals in the picture above (I wanted to prove to you that I’m actually using that lovely printable) but I’m also going to list them below. Don’t forget to sign up for the blog newsletter in order to get future printables for Monthly Intentions! 1. Post 5 times a day on Facebook. 2. Post 7 times a day on Twitter. 3. Use coschedule for every post. 1. Follow the editorial calendar. This means posting everyday but Saturday (when I unplug) on Hodge Podge Moments and every weekday on The Coastie Couple. 2. Send out weekly newsletter for Blog Intentions. I’ll be checking back in on these goals in the next Monthly Intention post but until then, I encourage you to link up your monthly goals below! 1. Link up any January goal post below. 2. Visit other links in the link up. 3. 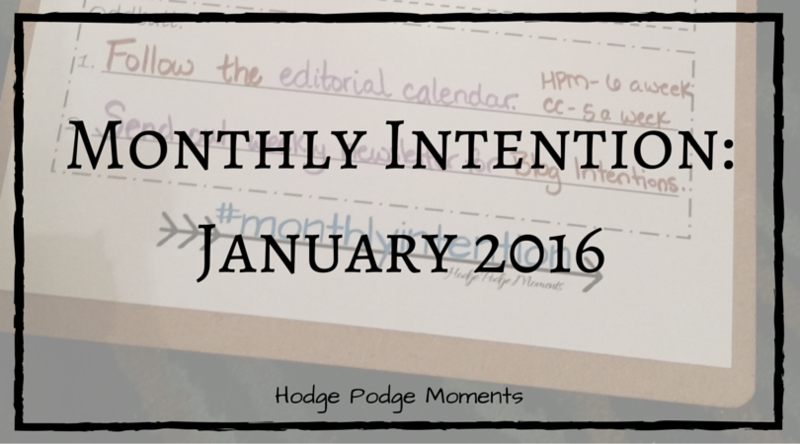 Add a link to Hodge Podge Moments in your blog post encouraging others to link up their goals. 4. Go out and crush your goals in January!